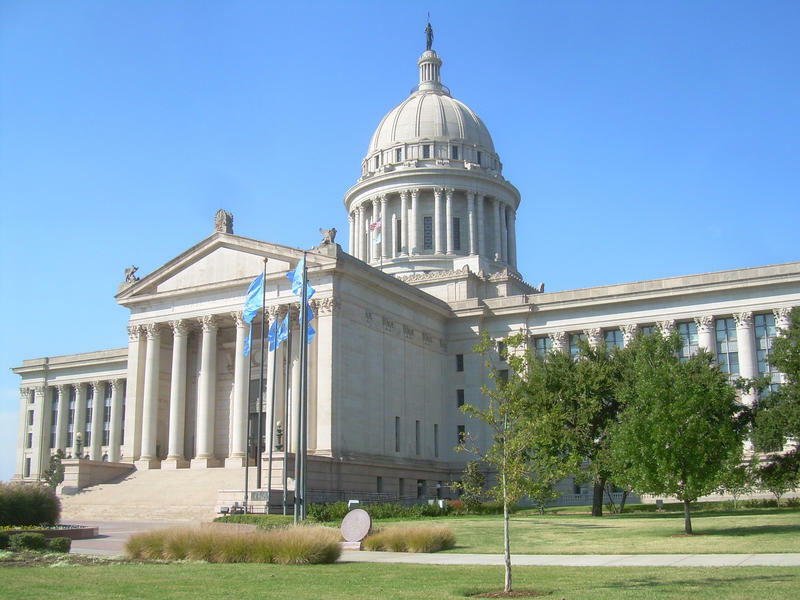 The Oklahoma Senate passed legislation Thursday that would fill nearly one-tenth of a projected $1.3 billion budget shortfall in the upcoming fiscal year. 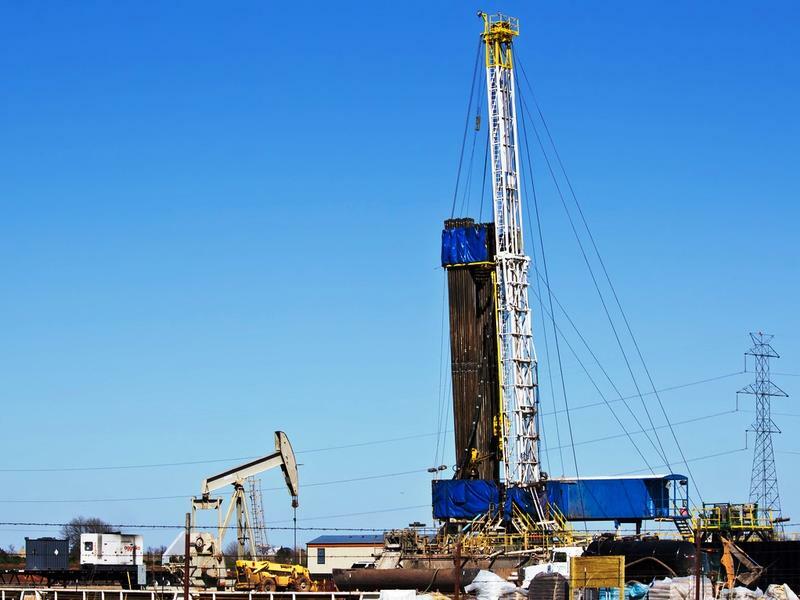 Senate Bill 1577 eliminates a tax credit for economically at-risk oil wells, saving the state over $132 million. 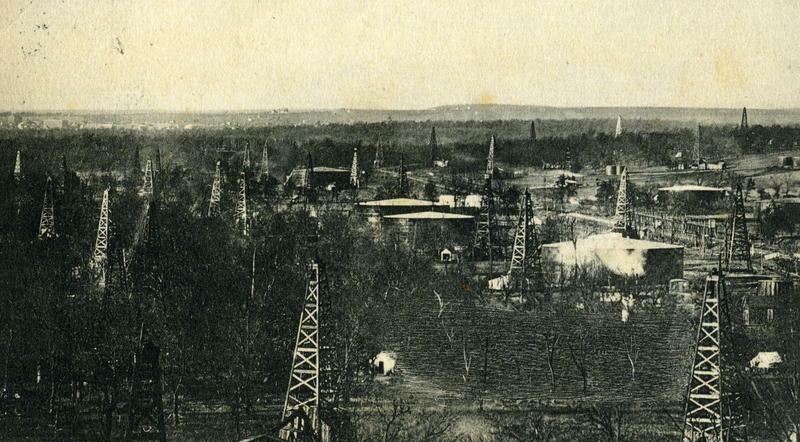 Under the bill, no tax credit claims can be made on marginally-producing wells from calendar year 2015 and beyond. Senate leaders say they're still discussing changes to state tax credits and exemptions, despite the fact that legislation with most of those changes still hasn't been heard on the chamber's floor. 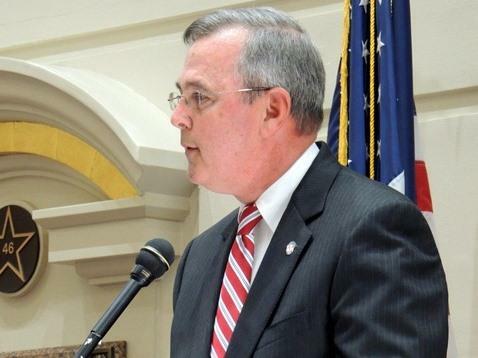 Senate President Pro Tem Brian Bingman, R-Sapulpa, told reporters this week lawmakers are continuing to work through their caucuses to make sure the members have the details about legislation dealing with tax credits and off-the-top spending. 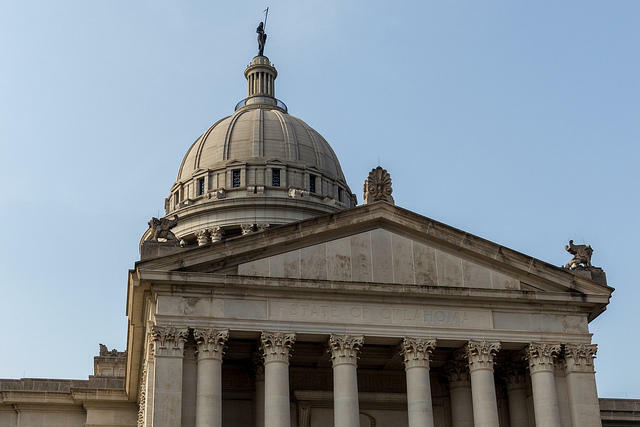 Oklahoma lawmakers could potentially consider more than 3,400 hundred bills when they formally reconvene next Monday, although the nearly billion-dollar budget hole will likely dominate the session that starts Feb. 1. With wind energy production in full swing in Oklahoma, legislative leaders are looking to impose some new restrictions on the booming industry. The Senate Energy Committee approved a bill Thursday by Senate President Pro Tem Brian Bingman to require planning for when wind farms are decommissioned and minimum distances from places like schools or airports. 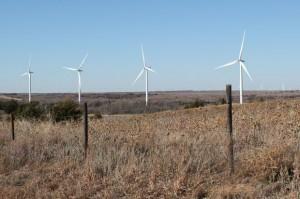 The bill also requires wind developers to provide certain public notice before the giant turbines can be erected. Two bills that would require stricter oversight of various state tax credits and incentives have cleared a Senate committee. The Senate Finance Committee approved both bills by Senate President Pro Tem Brian Bingman on Tuesday. The measures now proceed to the full Senate. 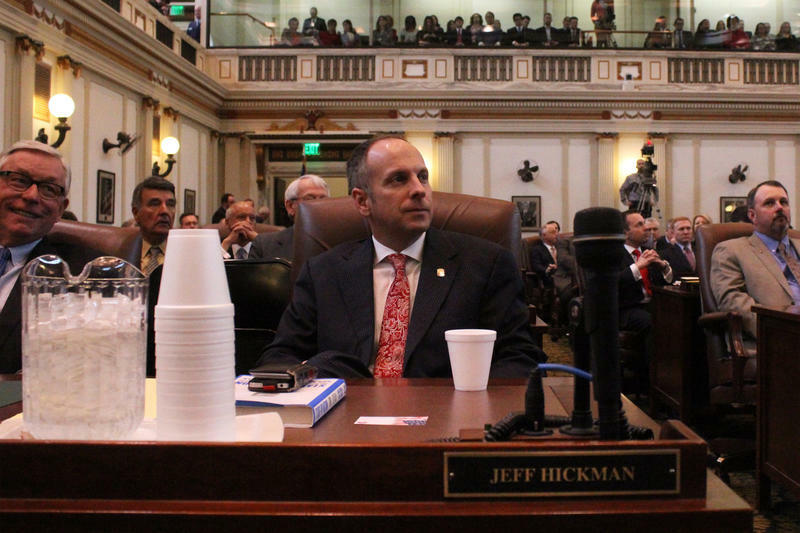 Members of the Oklahoma House and Senate have elected Rep. Jeff Hickman of Fairview and Sen. Brian Bingman of Sapulpa as their respective leaders for the new legislative session. Both chambers convened at noon Tuesday for an organizational day that the Oklahoma Constitution requires before the start of each new two-year session. In addition to electing leaders to various posts, the Senate also approved new rules that make it easier to introduce a bill. Members of the House and Senate are convening at the Capitol to formally elect their leaders and adopt their rules for the upcoming legislative session. 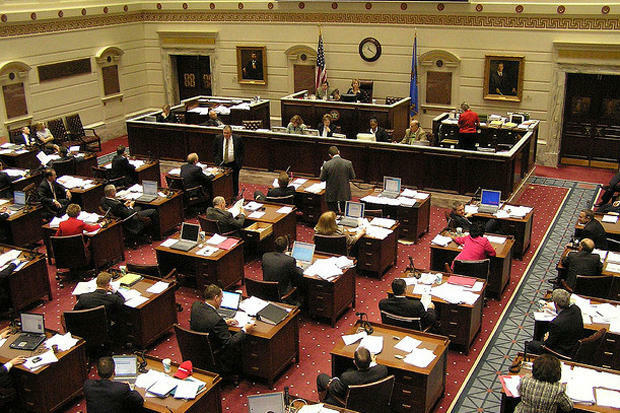 Both chambers will convene at noon on Tuesday for an organizational day called for in the Oklahoma Constitution before the start of each new two-year Legislature. After each body elects its leaders, approves rules and formally certifies 2014 election results, they will adjourn until Feb. 2. Senate President Pro Tempore Brian Bingman announced his committee assignments for the 55th Legislature on Wednesday. 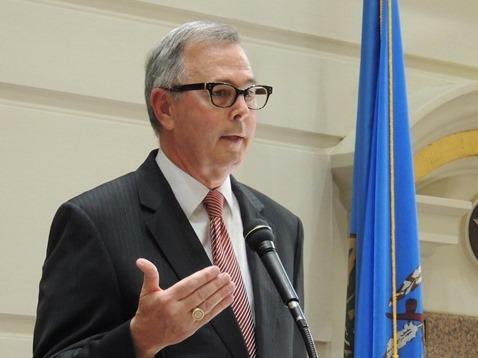 "Oklahomans have given Republicans a historic majority in the state Senate," said Bingman (R-Sapulpa). "With 40 Senators, there is a considerable diversity of leadership and talent in the Republican caucus. I am proud to work with such a fine group of public servants as we advance an agenda to further our economic momentum." Senate President Pro Tempore Brian Bingman named the members Friday who will serve as chair and vice chair of Senate committees and subcommittees during the 55th Legislature. Unlike the House where House Speaker Jeff Hickman, R-Fairview, altered the committee structure from the prior legislative session, Bingman’s appointments reflect no changes in the structure. Some members who previously served as chair or vice chairs of committees, however, are no longer filing those roles and in most cases have moved to other positions. Bill filing for the First Session of the 55th Legislature will open in just under two weeks. According to the Senate and House media offices: Senate incumbents can begin filing bills Nov. 17; New senators can begin filing bills Nov. 19. House members also can begin filing their bills Nov. 19. New and returning members of both chambers will gather at the Capitol Nov. 18 for a swearing in ceremony. The ceremony is optional and no official legislative business will be conducted. 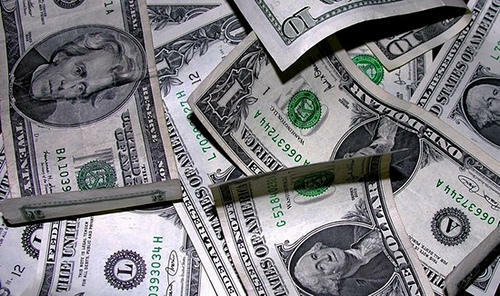 A report released by the Office of Management and Enterprise Services says 30 state agency directors received raises of at least $10,000 last fiscal year, with some receiving more than double that amount. After deciding 17 state questions in the past two general elections, Oklahoma voters this year currently will have only a couple of items to consider in November. This year's pared-down ballot reflects what some political strategists say is a temporary shelving of social issues that boosted conservative turnout at the polls. Republicans have strengthened their grip on state government since 2010. Oklahoma's governor and Republican legislative leaders agree in principle on cutting taxes, a multi-million dollar overhaul of the Capitol and revamping the pension system for state workers, but each side has different ideas on the specifics. Strong backers of the education standards originally created by the National Governors Association, including its current chair, Gov. Mary Fallin (R-Okla.), are distancing themselves from the reform. House Minority Leader Scott Inman blames Fallin for failing to lead on the issue. KGOU's Kurt Gwartney reports Senate Democrats focused their questions about the tax cut bill on the lack of funding for core state services like education and public safety. 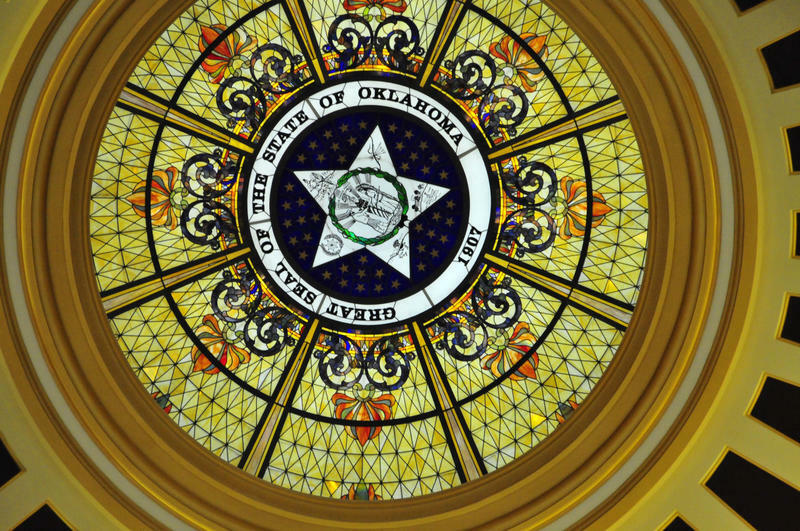 The state Senate approved a bill Thursday morning that would cut the Oklahoma income tax rate a quarter of a percent down to five. The bill passed on a 32-10 margin, with mostly Democrats opposing it. Minority leader Sean Burrage (D-Claremore) argued nearly 40 percent of residents won't see any tax break, and would rather have the state pay for good schools, rather than receive less than $100 back on their income taxes. Gov. Mary Fallin says Oklahoma voters should weigh in on what to do about school safety. Fallin on Wednesday suggested that schools be given one-time authority to increase their bond limits so they can build tornado shelters or make other safety improvements on campus. She said she was heartbroken by the loss of life at a Moore elementary school last May. It's not looking good for Oklahoma's budget. State leaders expect a $170 million shortfall. This year's budget was just half a percent larger than five years ago, without adjusting for inflation. And projections estimate a deficit of up to $2 billion by 2035.